Who Visited My Facebook Profile Recently? 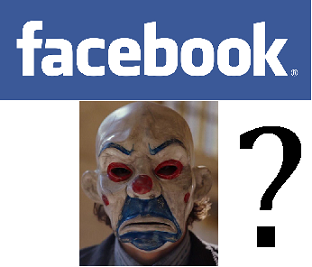 There is a certain way by which you can check who visited your Facebook profile. Yes, this trick works perfect and recently we found on the internet. Whether it is a girlfriends profile or some hacker trying to spy on your account recently and visiting multiple times, now you can now know with some attempt. If you have doubt about some specific person is trying to visit your private Facebook information, with this tip you can confirm instantly. Nevertheless this information is practically of no use, you can surely know who the crap is spoofing you and especially your girls. There are many fake tips available, but this worked very well. As we have tested and found the correct results, we advice this tip and just follow instructions. Right click on any blank space on the page and you will get pop-up saying "view page source". Click on the button. Now search for "InitialChatFriendsList" using "Ctrl+F" button. These numbers are the Facebook ID's of those users who visited your profile, starting with the most recent visitor. To view the person's profile, just copy the ID number and paste after ‘facebook/’ in below link and hit enter. It’s done! Enjoy your privacy and safety.